Don't miss our special offsite exhibition this month! 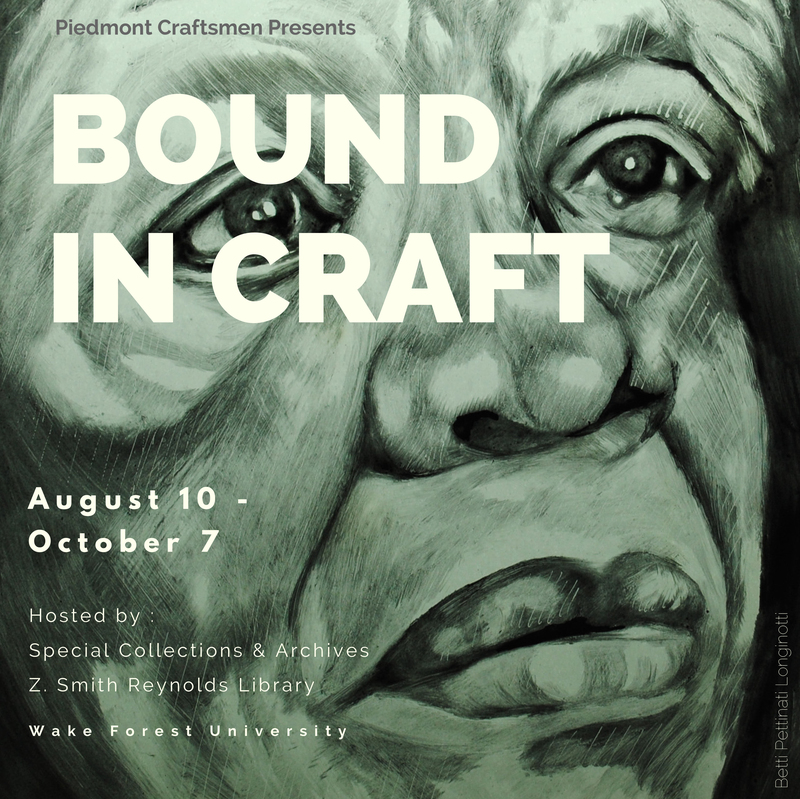 This exhibit, hosted by Special Collections & Archives of the Z. Smith Reynolds Library at Wake Forest University, will highlight the hand-bound book alongside craft inspired by literature. Each unique piece, whether ceramic, glass, fiber or jewelry, features an aspect related to book arts. Many of the works on display were made specifically for this show and created by some of the finest craftsmen in the country. Opening reception at the Special Collections & Archives room of the Z. Smith Reynolds Library September 14 from 5:00 – 7:00. Join us at 6pm for a special Make + Take How2 event with bookmaker and environmental artist Bryant Holsenbeck. This entry was posted in News and tagged Bound in Craft, exhibition, Wake Forest. Bookmark the permalink.